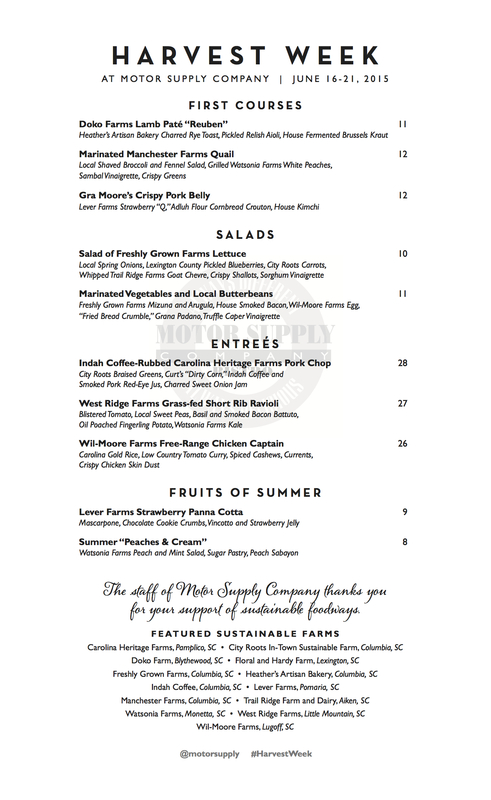 Executive Chef Wes Fulmer reveals his deliciously distinctive Harvest Week 2015 menu – including a twist on a Reuben, short rib ravioli dish and free-range Chicken Captain curry – for the all-local celebration of sustainable South Carolina ingredients and the local farmers behind them, available Tuesday, June 16 until Sunday, June 21, 2015. 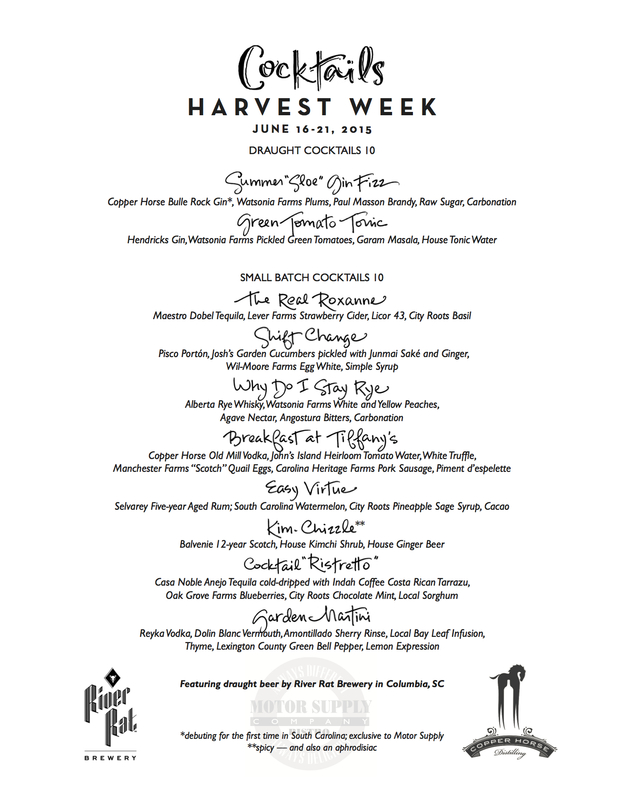 From behind the bar, Head Barman Josh Streetman has compiled a handcrafted Harvest Week Cocktail List, featuring the exclusive debut of Columbia, SC-based Copper Horse Distillery's Bulle Rock gin and a variety of herbal and fresh produce combinations, to compliment the one-week-only dinner menu. 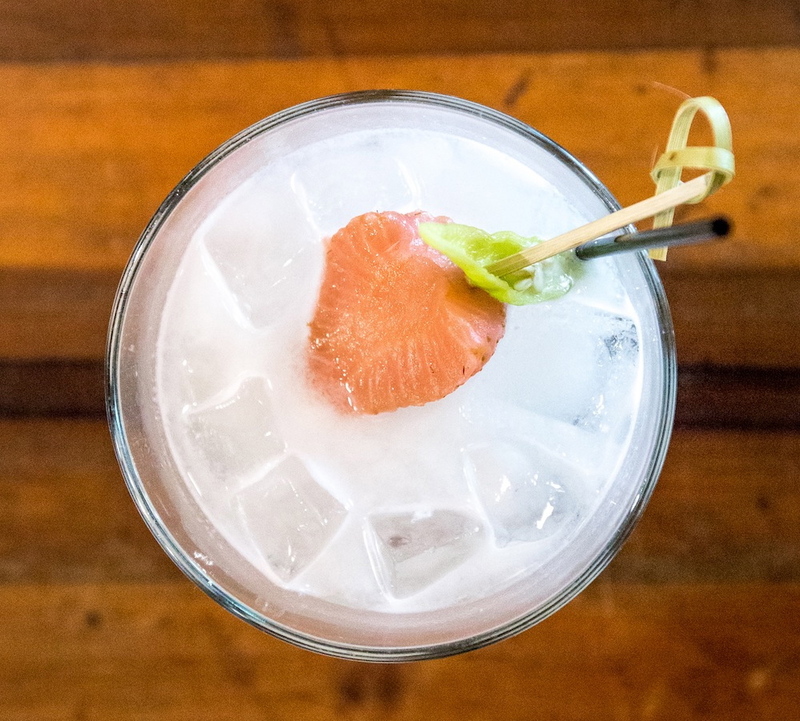 Join us for Meet the Farmer Happy Hour on Tuesday, June 16, 5:30-7:00 p.m. to mix and mingle with local purveyors and "put a face to the food," while having the first taste of the Harvest Week Cocktail List at the cash bar and noshing on complimentary hors d'oeuvres. Make reservations to stay for dinner after happy hour, or any night during Harvest Week, online at motorsupplycobistro.com/reserve or by calling 803.256.6687. We'll see you at #HarvestWeek. Cheers!